Lab suppliers working to sell life science equipment and laboratory products in southern California will not want to pass up the opportunities available at the University of Southern California. This campus not only boasts a $560 million research and development marketplace, but also stands as one of the top ten private universities conducting federally funded research, as mentioned in a previous blog on the university. -$56.8 million NIH award supporting Clinical and Translational Science, which will focus on health in densely populated areas. -$25 million from the National Science foundation to establish a new biological and earth sciences center to investigate the Dark Energy Biosphere. - $13.3 million anonymous gift that will fund the forthcoming Urology Robotics Center of Excellence and a program for prostate cancer targeting. The University of Southern California has only stood to increase its presence in the science community as a leading research institute, and the evidence is clear by noting the increase in grants to the university in the past few years. During the fiscal year (FY) 2011, the school received $248.3 million in grant awards- a 14% increase from FY 2010 and a 43% increase over the previous four fiscal years. This represents the largest four-year increase over the past 13 years. As mentioned earlier in this article, the dramatic increase in grants for FY 2012 only further supports the university and its presence in the research community. For more detailed funding information on the University of Southern California, including more details regarding NIH and NSF funding, please read our article Funding Profile for Marketing Life Science Solutions at USC. If you are a lab supplier working to market your life science solutions and increase scientific product sales leads, Biotechnology Calendar, Inc. invites you to attend our 10th semiannual USC Health Sciences BioResearch Product Faire™ Event, held on the University of Southern California’s Health Sciences Campus on April 2, 2014. Last year, the show attracted 132 attendees, of which 27 were purchasing agents, professors, and post docs, and 21 were lab managers. These attendees came from 19 different research buildings and 23 departments around campus. Participating vendors will have the opportunity to meet face-to-face with top-ranked researchers in this multimillion dollar market in a comfortable yet professional setting. And since our life science marketing events are only a short walk from the laboratory or classroom, they are convenient and well-attended. 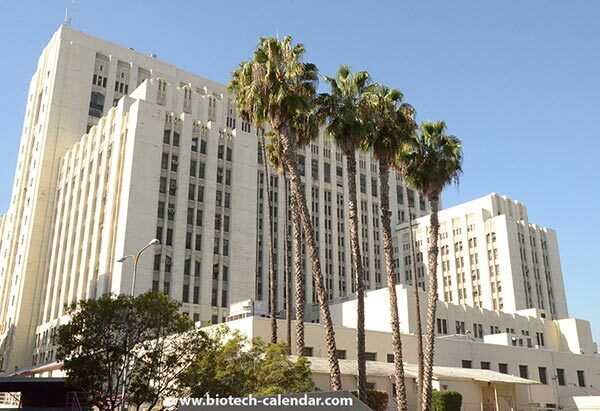 Biotechnology Calendar, Inc. is a full-service science research marketing and events-planning company that organizes life science marketing events at top research institutions nationwide. If you are interested in life science marketing opportunities and selling lab equipment at life science marketing events closer to home, we encourage you to view our 2014 calendar of events. For more detailed funding statistics on the University of Southern California or more information on our USC Health Sciences Bioresearch Product Faire™ Event, click on the button below.